Olafur Eliasson, in his sixth solo show at neugerriemschneider Berlin, exhibits new work portraying Iceland, his familial homeland. His new photographic series captures the country’s infamous natural features, and through these stunning images transports the viewer into the scale and physicality of the Icelandic landscape. One of the photographic series, titled, “Volcano series (2012)” is a comprehensive, 63 C-print overview of Iceland’s main volcanic craters. 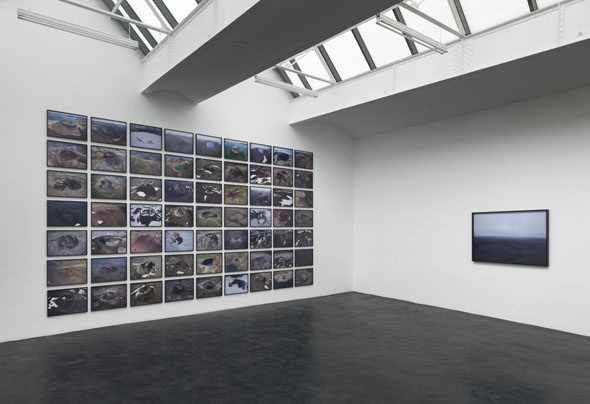 The country’s volcanoes are some of the most active on earth and interest the artist in their metaphorical potential regarding the separation between inner and outer worlds. 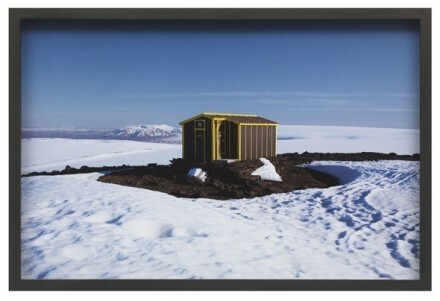 “The hut series (2012)”, a second series of 56 C-prints, devotes itself to a particular form of architecture found only in Iceland’s most remote areas. Originally, these structures were intended for shepherds and are now used as shelter for hikers, hunters or in rescue efforts. These huts, with their uncanny form and location, are arranged into a grid, and collectively create the illusion of a warped urban landscape. 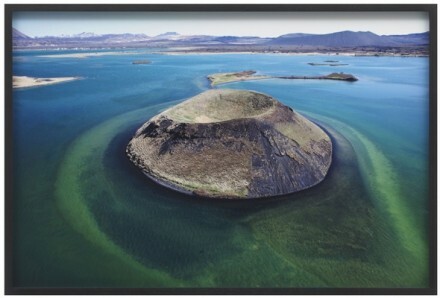 Rounding out the two series on view is a large print of new photographs, “The large Iceland series”, made up of an open ended collection of individual photographs that Eliasson has taken during his travels throughout the country, beginning in 1993. 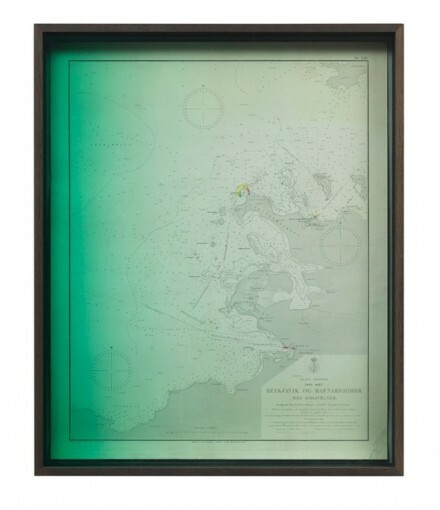 Also included in the exhibition are maps of 19th century Iceland framed behind colored glass, as well as three sculptural works. The maps and the sculptures, comprised of mirrors and found driftwood from the Icelandic coast, are reminders of the multitude of perspectives, both subjective and objective, one can experience and garner from contact with a landscape. 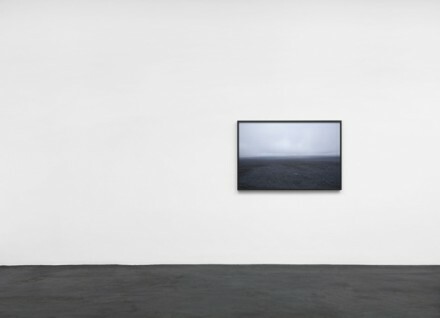 Both of Eliasson’s two new photo series are concurrently being exhibited at Tanya Bonakdar Gallery, New York. 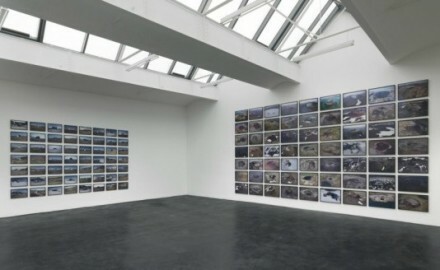 All photos by Jens Ziehe and Olafur Eliasson via neugerriemschneider. 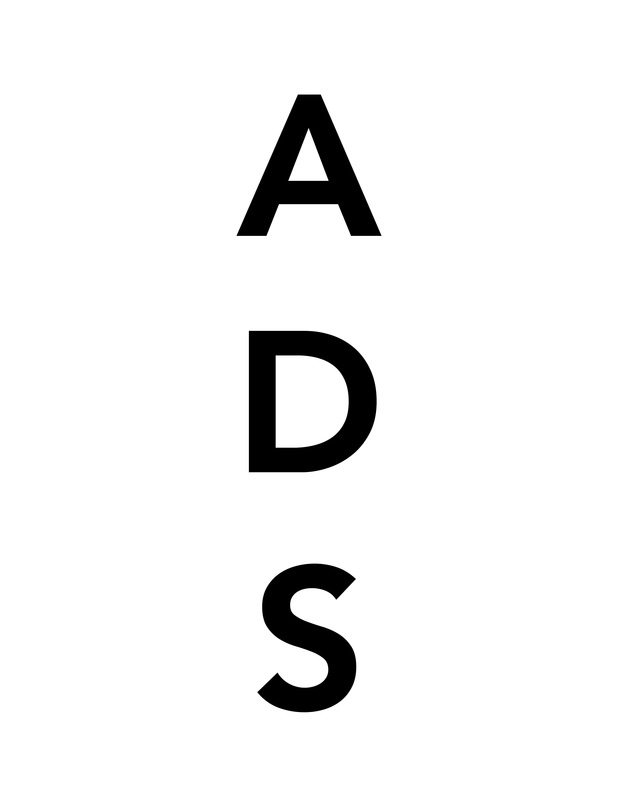 This entry was posted on Friday, January 18th, 2013 at 11:13 pm	and is filed under Art News. You can follow any responses to this entry through the RSS 2.0 feed. You can leave a response, or trackback from your own site.